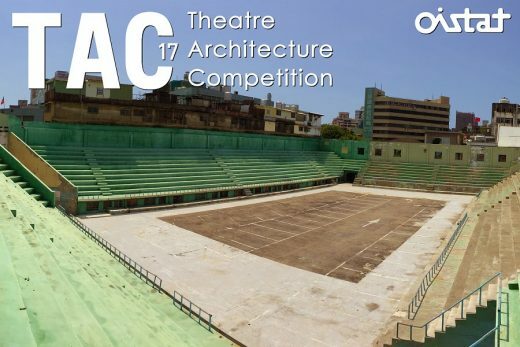 OISTAT Theatre Architecture Competition 2017, TAC Design Contest Hsinchu City, Taiwan. 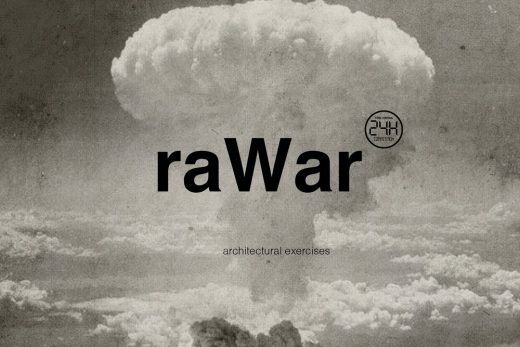 The Theatre Architecture Competition (TAC), organized by Architecture commission of OISTAT -International Organisation of Scenographers, Theatre Architects and Technicians, is an international competition aimed at students and emerging architects and practitioners to showcase their innovation of future theatre architectures. Themed “Theatre as Public Space”, TAC 2017 is opens for submission until March 17, 2017. The site will be in Public Activity Center, a disused sports stadium in Hsinchu City, Taiwan. Competitors are encouraged to collaborate with theatre-makers to explore the complex issues arising in the design of theatre space – the geometry and atmosphere that best support the telling of stories in a live performance. Selected entries will be exhibited both in Hsinchu City, Taiwan and at World Stage Design 2017, the international theatre design event organized by OISTAT, taking place in Taipei, Taiwan from 1-9 July 2017. The international jury will be made up of four theatre architects and one experienced theatre practitioner. 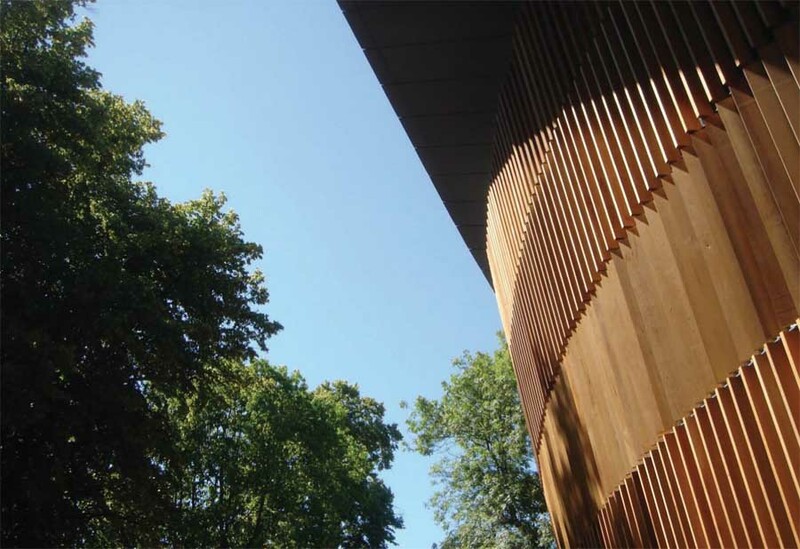 The jury will be chaired by the chair of the OISTAT Architecture commission. The first prize will be €5,000, the second prize will be €2,500 and the third prize will be €1,000. There will be three additional prizes of €500 each. In addition to these prizes, there will be honourable mentions. Submission fee is 50 euros. The theme for TAC 2017 is “Theatre as Public Space” and will be focusing on the design of a temporary theatre (or theatres) in The Public Activity Center (Hsinchu City, Taiwan.) Taiwan is currently constructing several major new performing arts centres, with multiple auditoria, designed by significant international architects, which will be completed in 2017. With the design task “theatre village”, the aim of the competition is to challenge the conventional typology of the theatre. Theatre Architecture Competition was founded in 1978 in Paris. For last competition, held in 2015, there were 197 entries received from 37 different countries and the top 25 entries were exhibited at Stage|Set|Scenery in Berlin in June 2015. Find Out More >> Visit TAC2017 Official Website for detailed information & complete competition brief. Questions about TAC, please email archcom@oistat.org. The Public Activity Center, a disused sports stadium in Hsinchu City in Taiwan. TAC 2017 opens to architects and students of schools of architecture. 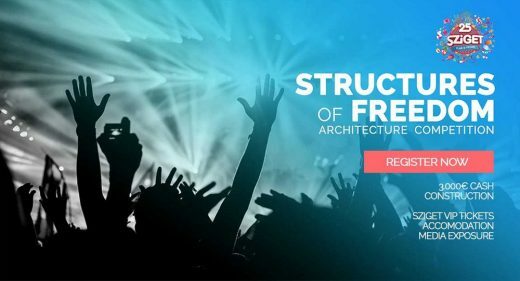 Collaborations between architects and other theatre practitioners such as directors, designers, writers, technicians, actors, dancers, musicians, or students in those fields, will be welcomed, although it is not an essential requirement.